A modern design with an urban feel. Copper London has a modern feel with a slightly rougher edgier style. Perfect paired with retro or vintage chic styling. For this design we picture less clean white table cloths and more rustic, distressed styling, with paint peeling walls with fairy lights! 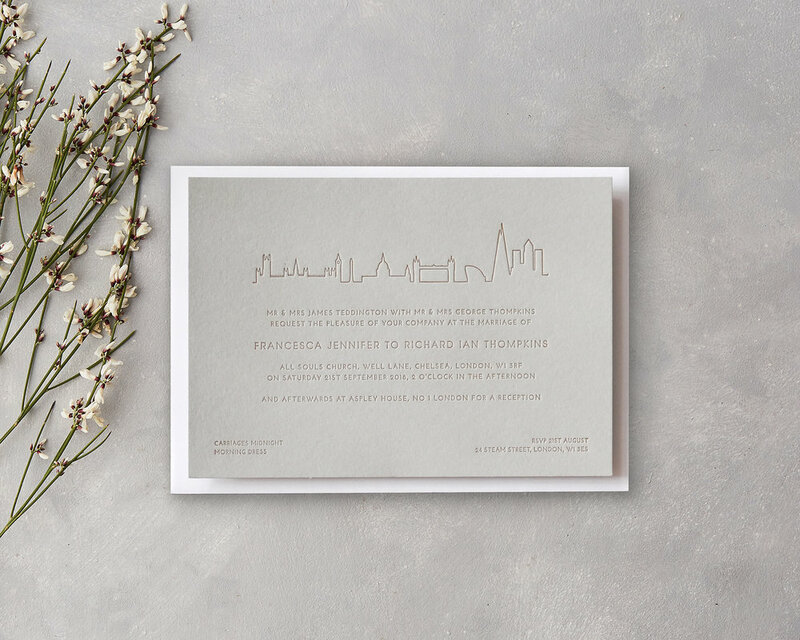 This elegant design has a fine line-style illustration to accentuate the deboss and letterpress print texture, paired with a beautiful soft grey card, a secret find of ours that we LOVE! 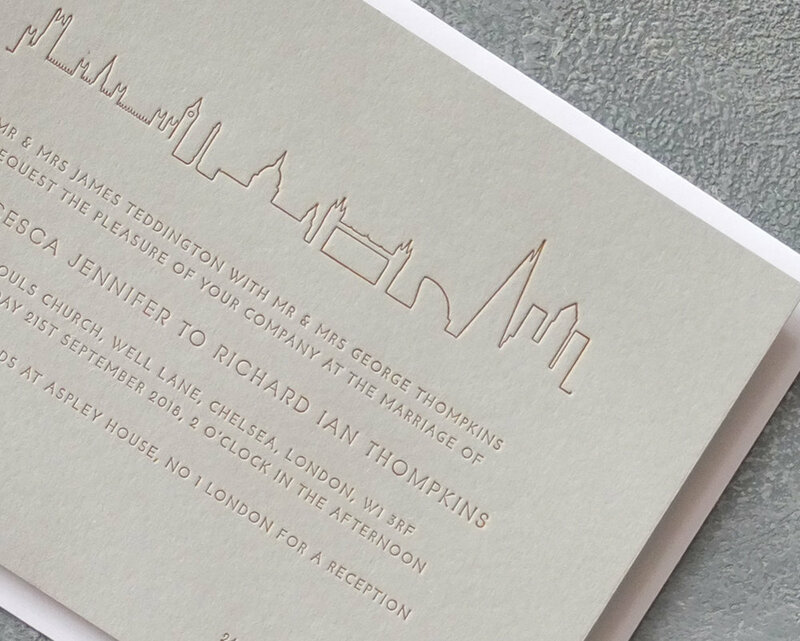 Grey and copper has to be a classic combination, but we love it for a modern wedding coupled with a thick quality white envelope it has a real elegance. The stunning soft grey card has a rough surface finish and amazing quality, if you like it definitely order a sample, it is lovely card stock. 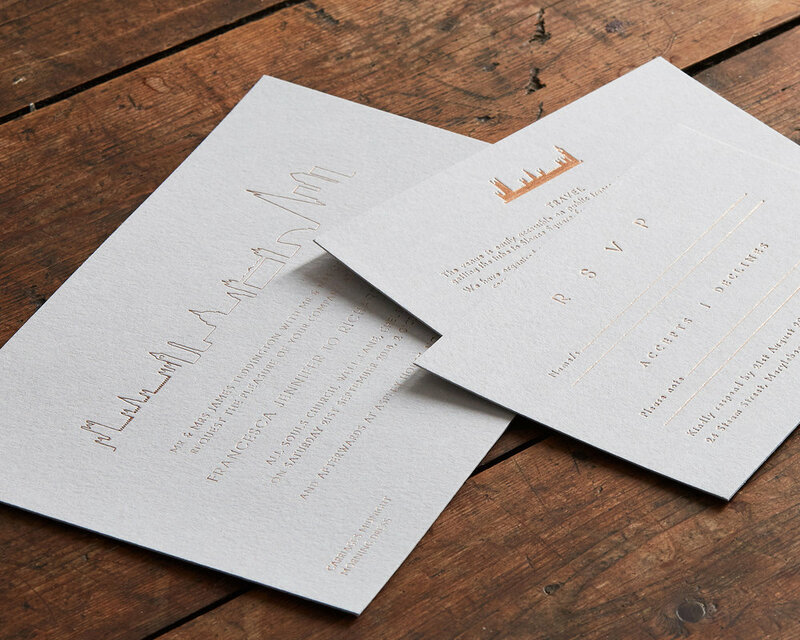 The design is photographed in both Copper letterpress ink and foil, the foil has a shinier brighter finish. Whilst the letterpress has crisper lines and a deeper deboss for a really clean finish.